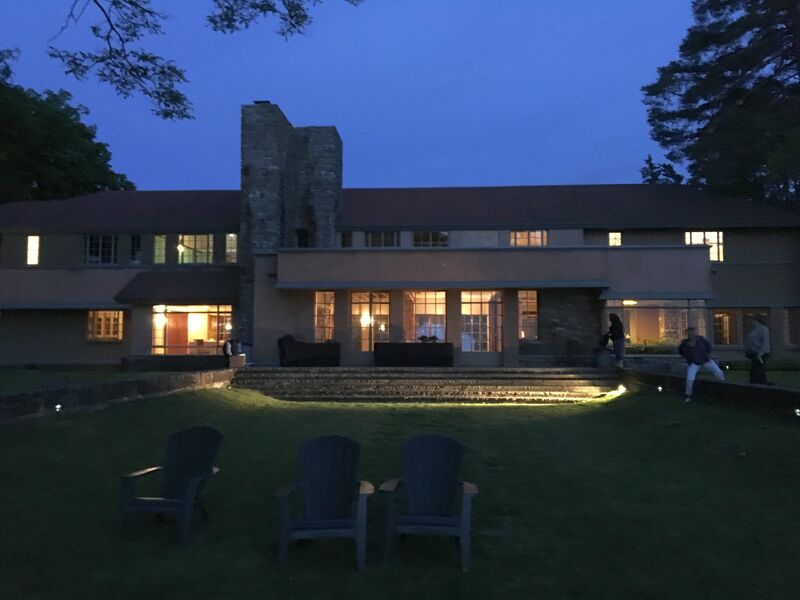 Last week, architectural and design enthusiasts celebrated the 150th birthday of Frank Lloyd Wright. Here in the Buffalo area, there were several Wright themed and inspired events throughout the past week. Over the weekend, Graycliff Estate in Derby, NY had a series of workshops. The lawn and grounds of the estate were free for viewing – and on this one night – camping. Imagine the SitlerHQ crew’s surprise to see six or seven tents on the front lawn, just a few yards from the edge of the cliff overlooking Lake Erie. We arrived pre-twilight, so there was still a little bit of a glow in the sky. 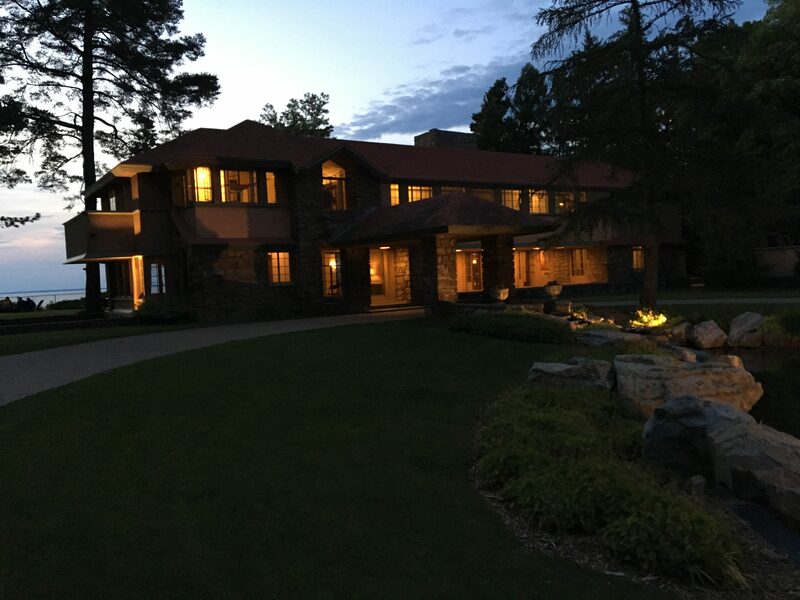 Seeing the main house at Graycliff as you approach it from 50 yards away is an experience – viewing the illuminated structure at night took that experience to the next level. 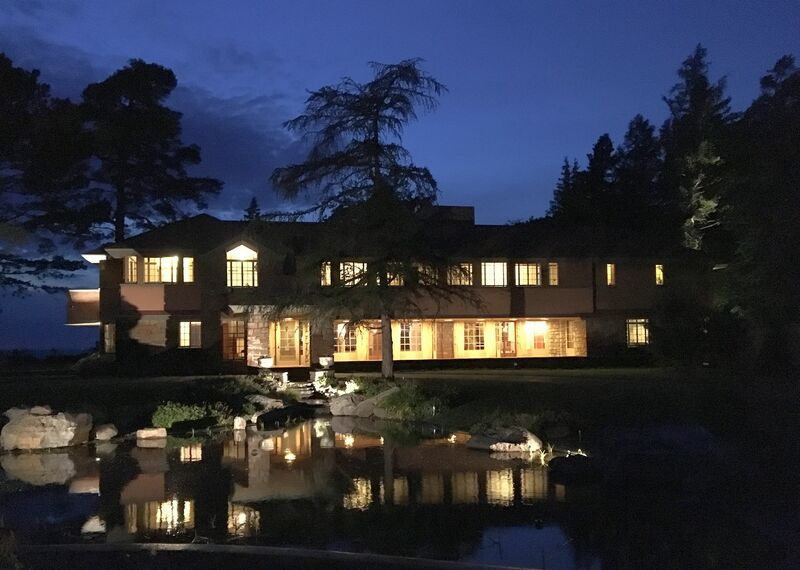 Both the interior and exterior lights offered perspective on the house and highlighted unique features. There was also a bon fire with visitors sitting around in a circle. We soaked in the scenery and watch darkness take over, with the lights of Buffalo and Canada growing brighter.